Leather, patent leather and rubber-soled shoes often squeak until they are properly broken in and conditioned. There may be a number of culprits behind the squeaks, but the basic reason your shoes are announcing your every step is that the material is rubbing together in some place. Squeaky shoes are embarrassing, but no one wants to throw away good footwear for a petty reason. Try these remedies before you relegate your squeaky shoes to the back of the closet. Ask a friend — a good friend — to get down next to your shoe and see if she can locate which part of the shoe is doing the squeaking. Different areas will need different remedies. If you're doing this experiment on your own, walk around a quiet room, changing up your stride to see if you can catch any variations in the noise. If you're wearing high-top shoes or boots, sit down, raise your feet off the ground slightly and rotate your ankles to see if it's actually the material around the ankle that's making the noise. 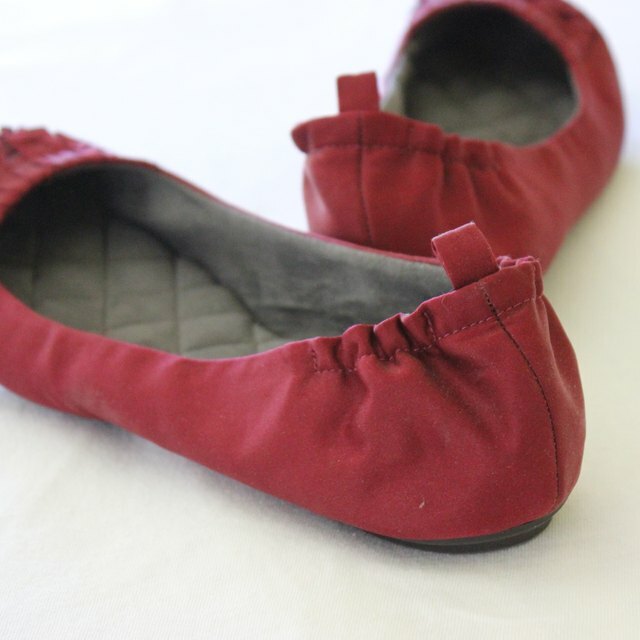 Give the exteriors of squeaky shoes a coat of any shoe conditioner. Be sure to choose one that is designed for the material. Rub the product on the shoes, paying particular attention to natural creases and any places where different parts of the shoe would rub together. Lift the inner soles of the shoes and sprinkle cornstarch or baby powder inside. Leave the powder inside as you replace the inner sole. You can also give each shoe a thorough dusting, especially around the shoe laces or in places where the shoe naturally rubs. Let the powder set overnight before cleaning off any excess. Check the heels of your shoes to make sure they have not come loose. If you find a gap, put superglue into the seams around the heel and clamp it or hold it tight until the glue sets. Try saddle soap if the tongue rubs against the shoe underneath the laces. Rub the tongue with the saddle soap; reapply if you still detect a squeaking sound coming from the tongue. Use silicone spray to troubleshoot leather shoes. Spray around the areas that are naturally rubbing together. Use silicone instead of WD-40, as it will not harm leather. If the shoes are new, the squeaking likely is caused by the manufacturing process and you can take them back and get a free repair or a new pair. If the shoes are old, the noise may be caused by the soles being worn out. Replacing the soles should remedy the problem, but make sure you mention it to the cobbler, too. If the shoes are really old, the shank could be loose. A cobbler may be able to repair them.